“Married at St. Augustine Church in Chilton, on Monday, May 13, 1884, Mr. James Flaherty of this city to Miss Agnes Higgins, daughter of James Higgins, Esq., of Chilton Town. After the ceremonies, the happy couple bid farewell to their relatives and numerous friends and took the train for Minneapolis, Minn., where they will begin to fight the battle of life together. This couple have been brought up in our midst and have always stood very high in society. The Times wishes them success in their new home.” –The Chilton [Wisconsin] Times, May 17, 1884. The witnesses at the wedding were Frances McGrath and Anna Flaherty, James us the son of Michael and Mary Carey Flaherty. Agnes is the daughter of James and Maria Forkin Higgins. Prior to her marriage, Agnes was a teacher in Calumet County. James Henry McCole (1860-1942), son of Cornelius and Catherine Higgins McCole, was born at the McCole farm in Brant (Chilton), Wisconsin. Soon after his marriage to Mary Nolan in 1887, he homesteaded in Tilden, Antelope County, Nebraska, where he had five children. His fourth child, Cornelius Ambrose married Audrey Acrea and lived in Idaho where their son Paul, above, was born in 1917. Cornelius died later that year. The picture above was probably taken in Twin Falls, ID, about the time of Cornelius’s death. Audrey Acrea McCole subsequently married Millard F. Shuford and moved to Oklahoma (1930 Census) and Paul took the surname Shuford. 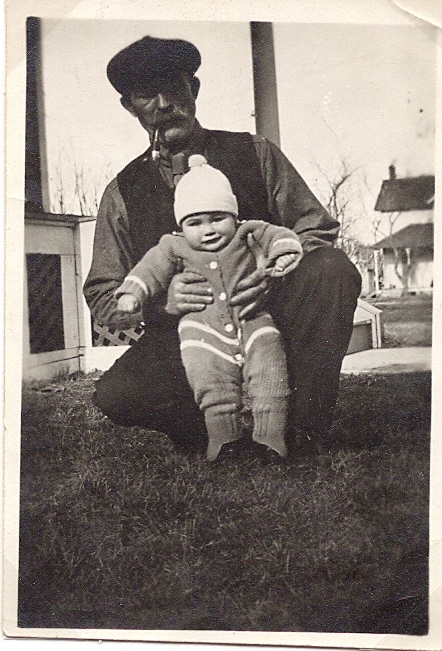 John Higgins (1875-1962), son of Thomas and Catherine McKenna Higgins, grandson of Thomas and Margaret Lannon Higgins, was born at Brothertown, Calumet County, Wisconsin. He moved to Montana early in the 20th Century and in 1930 was a stock rancher in Powder River County. Here he is shown with hides of wolves he has shot and two black cats. Powder River County, named for the gunpowder color of the river banks, is today largely rangeland. John seems not to have married. 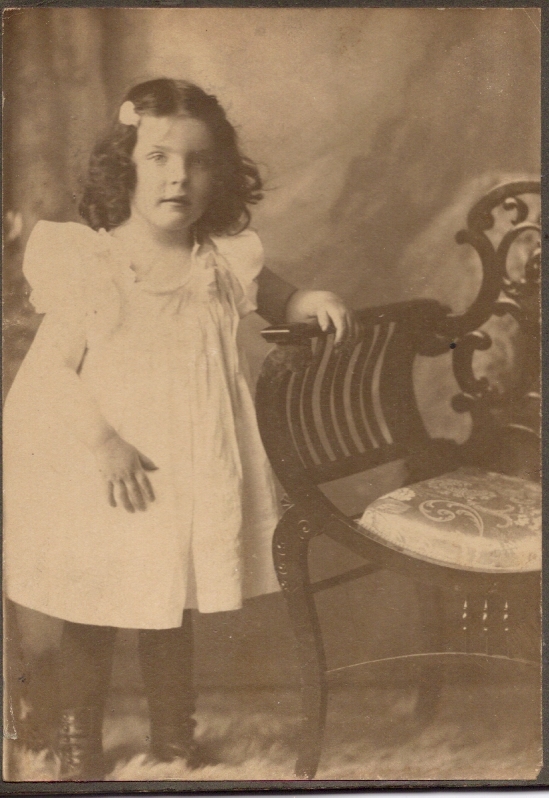 Lucille Cannon (1895-1975), daughter of Agnes McCole and Dennis Murphy Cannon, at about age 4 in Superior, Wisconsin. 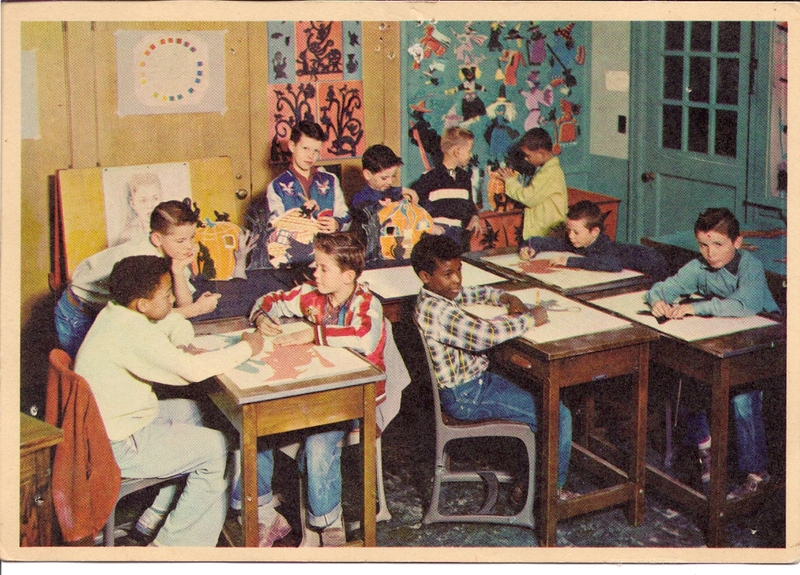 Lucille became a teacher and spent much of her career at Boys Town, Nebraska, where she taught art. Lucille spent many years in this room, teaching young boys until she retired in the 1960s. Six daughters and two sons were born to Patrick and Mary McCole Braheny. 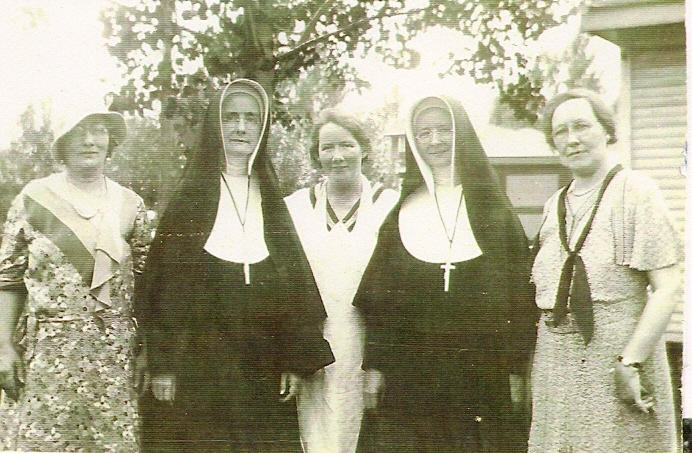 In this photograph, probably from the late 1930s, are shown Sr. M. Ignatia, SP, and Sr. M. Genevieve, SP. The others are three of the four: Kathleen Braheny Hayes, Florence Braheny Moran, Millie Braheny, and Edna Braheny Cloud. The two religious were members of the Sisters of Providence of St. Mary of the Woods, Terre Haute, Indiana. All the Brahenys were all born in Chicago between 1875 and 1894. 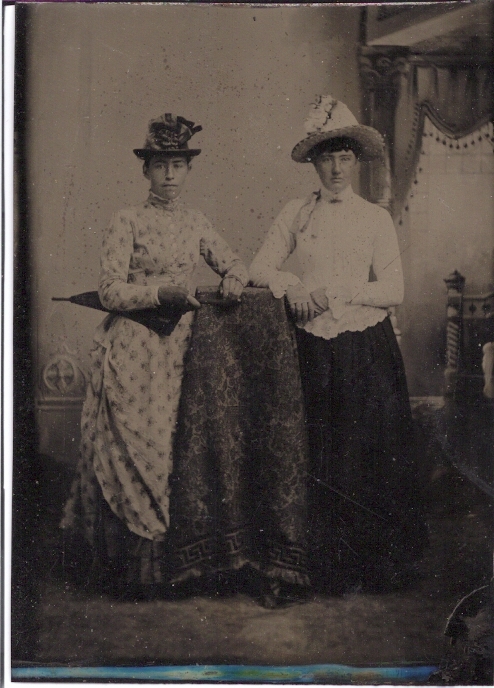 I would be happy to hear from anyone who can identify the sisters. 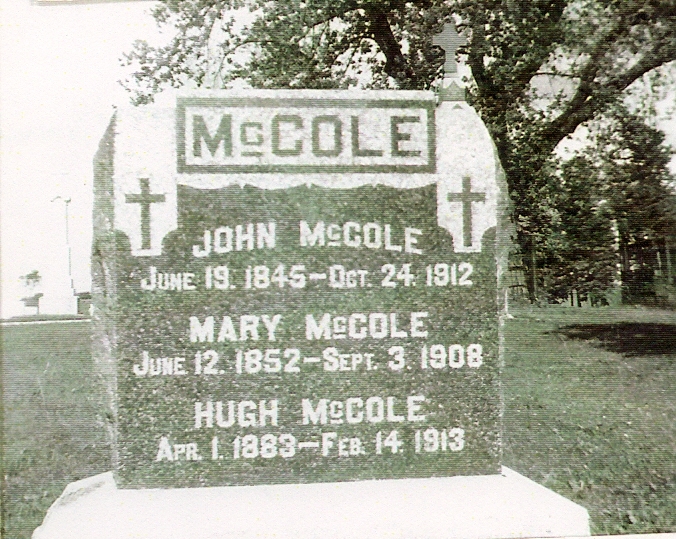 John McCole (sometimes McCoale), son of William and Catherine Lyons McCole of Ballykilduff, near Glenties/Ardara, Co. Donegal, Ireland, arrived in the United States in 1868 and headed to Chilton to the farm of his uncle, Patrick McCole. He became a merchant, keeping a general store in Chilton for most of his life. He married Mary (Minnie) Harlow at St. Augustine’s Church on October 7, 1872. They had six children, Hugh the only one to remain, unmarried, in Chilton. Their only daughter, Kathleen, became Sr. Lucille Marie of the Sisters of Providence of Terre Haute, Indiana. Of their other sons, John (Jack) and Francis (Frank), married Mary Elizabeth Casey and Sarah Casey, respectively, and lived in Mason City, Iowa; James William and Patrick Bernard married Katherine P. Curran and Margaret Moriarty, respectively, and lived in Chicago. Superior, Wisconsin. 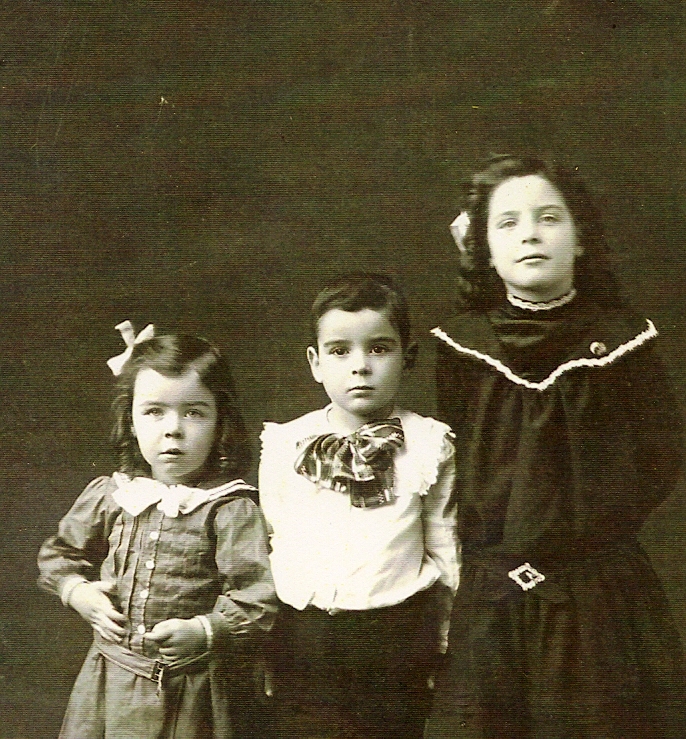 Charles Bernard Cannon (1900-1982), Neil–Corneilus–James Cannon (1898-1970), Lucille Anastasia Cannon (1896-1973), children of Agnes McCole and Dennis Cannon. Charles in later life resented these pictures of himself in a dress, but that was the ordinary way of clothing a small boy until (like Neil, above) he wore short pants. The hairbow may have seemed worse than the dress. When I, Charles’s daughter, was 5, I was subjected by my mother to the same hair-do, sausage curls wound around her finger (and sometimes painful when they were pulled off the finger). Lucille Cannon (1895-1975) grew up in Superior, Wisconsin, the eldest child and only daughter of Dennis and Agnes McCole Cannon. This pre-printed, add-your-own recipe book was designed and illustrated by Louise Perrett and published in Chicago in 1904. Some of the recipes appear to come from Superior friends, such as Mary McKeague, wife of the newspaper publisher, Rose Boyle, and women of the Hughes families. 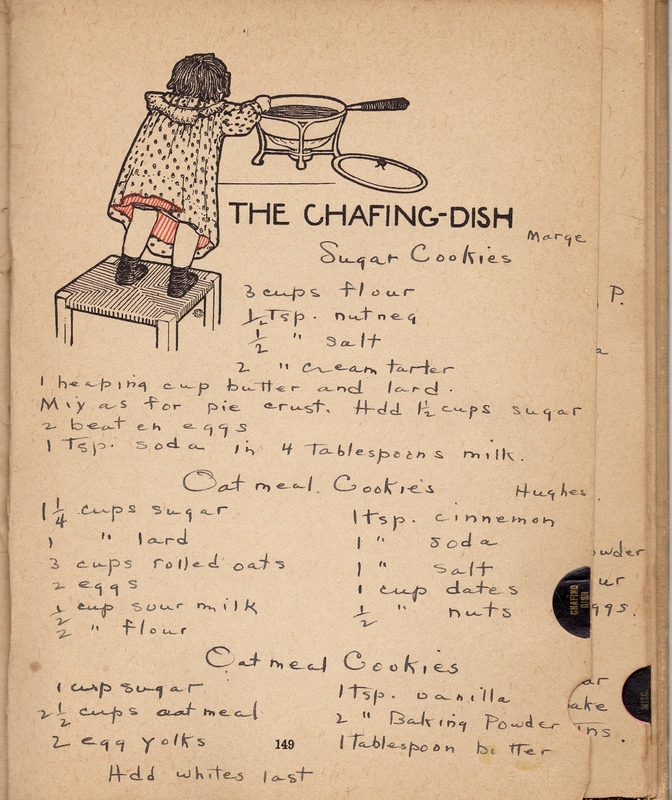 Each category of recipes was illustrated by Perrrett but Lucille seems to have had no need for the “Eggs” category which she used for “Desserts.” “The Chaffing Dish” category became “Cookies. Like all the recipes, these for cookies listed only the ingredients; the home cook was supposed to know how to bake them. The second Oatmeal Cookies recipe notes “add whites last,” presumably the whites that accompanied the egg yolks at the start. 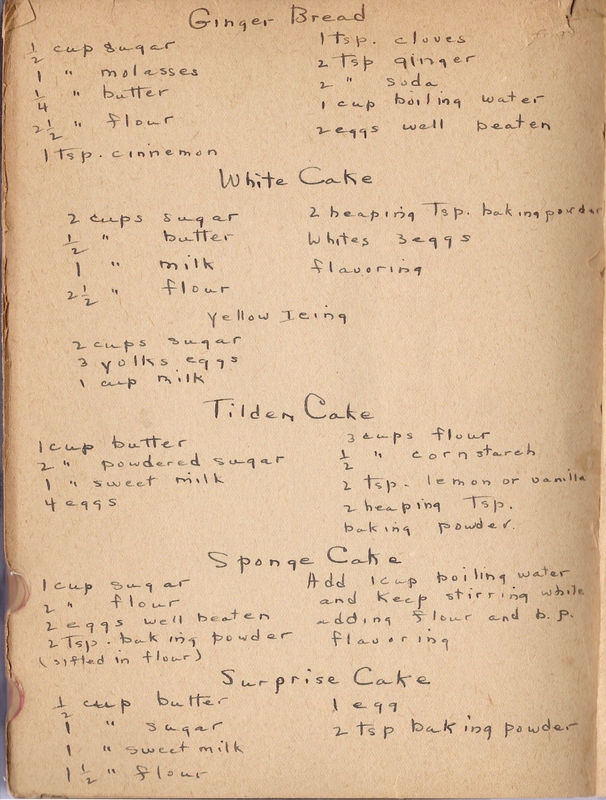 “Tilden Cake” probably came from Aunt Rose McCole, second wife of Lucille’s uncle Jim McCole, who moved from Wisconsin to Nebraska in the 1880s and lived near Tilden. The surprise in “Surprise Cake” might have been that it turned out like a cookie. 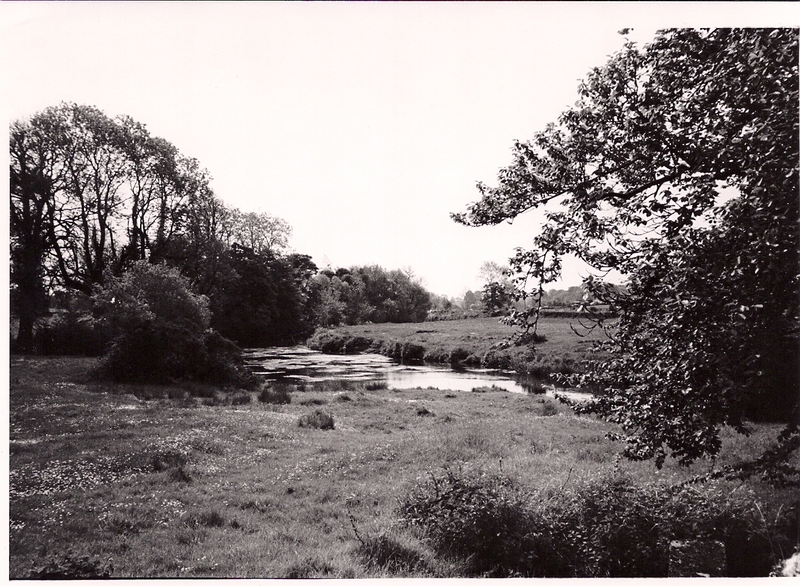 John O’Keeffe and Julia O’Connor were married in this townland in 1862. St. Mary’s parish records in Boherbue show that Julia was baptized April 15, 1841, and that she was from Doon. Her parents were Patrick O’Connor and Johanna Hickey and her godparents M. McAuliffe and Julia Murphy. A record for John’s baptism has not yet been found but family records show January 6, 1839, in Boherbue. 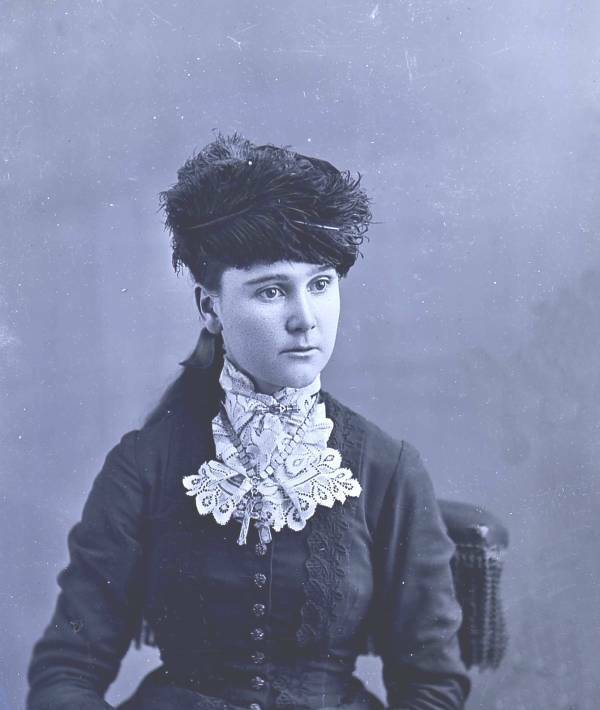 Julia came to America the year after her marriage and settled in Brattleboro, Vermont, where her daughter Nellie was born in 1863. John disappears until the end of the decade when he, too, is in Brattleboro. Family lore says that he went to Australia or New Zealand in search of gold. He came into the Port of San Francisco in 1868, according to his naturalization papers.